Now here's a really cool piece. 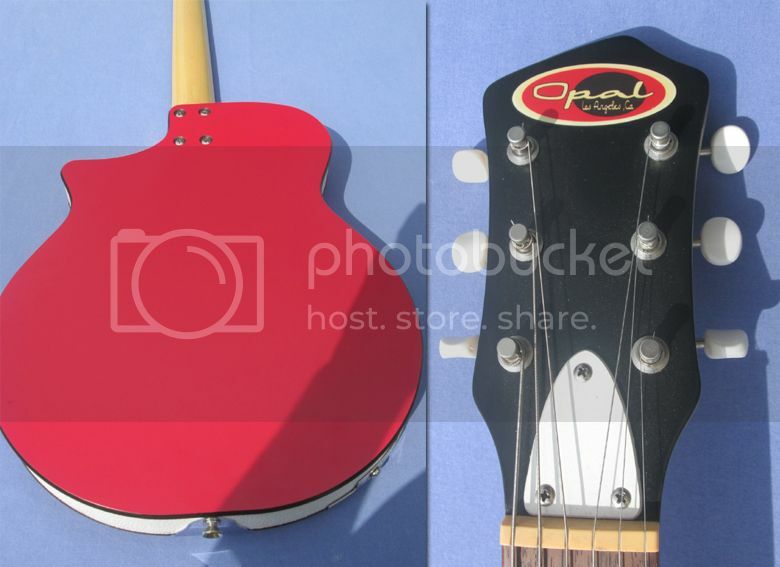 It looks for all the world like it's some bizarre vintage guitar but it is actually relatively modern, namely a 2008 Opal by Joseph Kraut. Design-wise it's a mash-up between Danelectro and cigar-box guitar; it even has a metal forearm rest as you might find on a banjo. I'm not sure what materials are used but they have a vinyl-like appearance, maybe even the top and back are made of Formica. 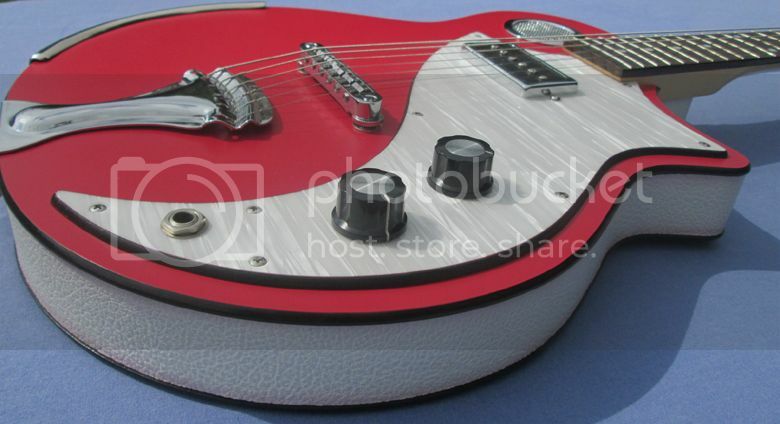 I'm guessing the construction is like that of a Danelectro - certainly the body appears to be hollow with that soundhole grille on the upper bout. (If anyone has any further info, I'd love to know more). 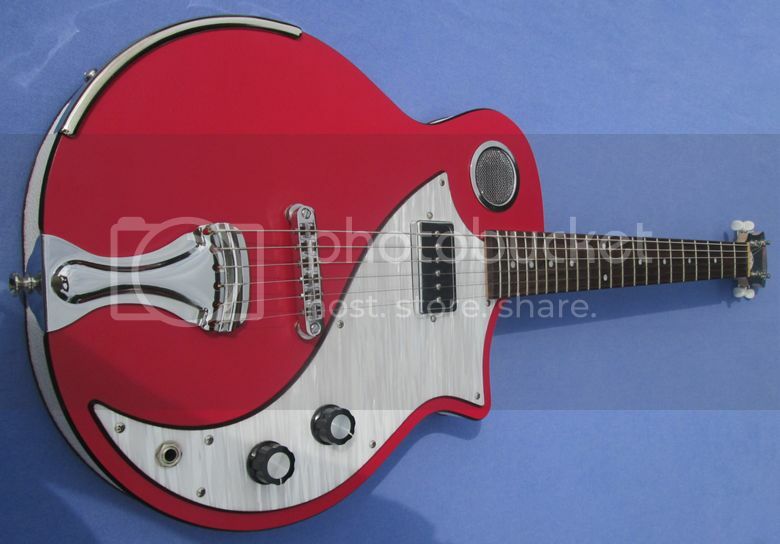 This guitar is currently being offered for sale on reverb.com with a $450 Buy It Now price tag. Not the best place to put that pickup. That guitar could sound a lot better. Why do you say that? Please, not the myth about the bridge pickup being the only one worth bothering with? Pickups sound doinky, like this guitar, if the pickup is not place at the neck or bridge. It's that Strat middle pickup sound. It's a very specialized sound, with not much of a fan base. Just wanted to say that I bought this guitar, and it's awesome. Great tone, lots of compliments from listeners at gigs.